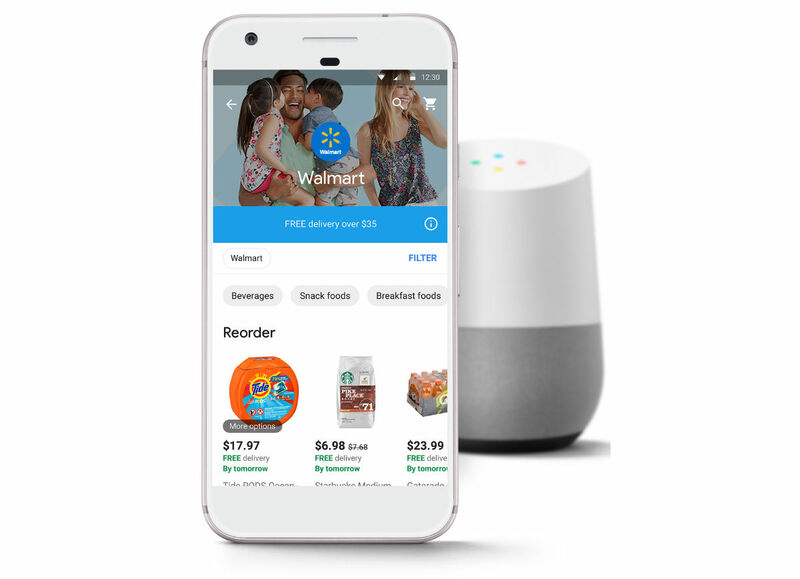 Announced this week, with rollout starting late next month, users of Google Assistant (on a phone or through Google Home) can use their voice to order items directly from Walmart. On top of that, starting today, shoppers through Google Express (on the app or web) will receive free delivery on orders, so long as the order is above the store’s minimum purchase required. The way this will work is pretty simple. Should you already be a Walmart customer, you can choose to link your Walmart account with Google Assistant. Using your previous purchase data, Assistant can recommend products or know exactly what item you’d like to reorder. For example, if you’ve previously purchased a 6-pack of lemonade Gatorade, Assistant won’t accidentally grab grape-flavored Powerade. The Google and Walmart pairing kicks off next month, but if you’d like a special offer when it goes live, you can register for it directly through your current Google Express account.